Rugby is not just the domain of non-disabled athletes. Wheelchair rugby is a popular and robust game, with clear rules, for male and female wheelchair users, many of whom have spinal cord injuries, quadriplegia or paraplegia, neurological problems, cerebral palsy, muscular dystrophy or amputations. Certain formats of the game require that all players are quadriplegic, while others call for impairment of at least three limbs in their players. In order to better understand this sport, let’s take a look at the rules. Individual players of the game are assigned a classification, which reflects the degree of impairment they experience. Teams have a point limit, meaning that they have to be made up of players with a variety of classifications in order to qualify for a match. 3 What are the rules of wheelchair rugby? 3.1 How are goals measured in wheelchair rugby rules? 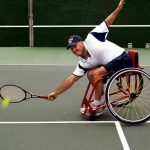 Originally known as murderball, and called quad rugby in the United States, wheelchair rugby incorporates aspects of able-bodied rugby, alongside elements of basketball and handball. The sports men and women use manual wheelchairs to get around the hardwood court, and men and women compete together on the same teams. The aim of wheelchair rugby is for players to carry the ball across the line of their opponents, using brute force when necessary! 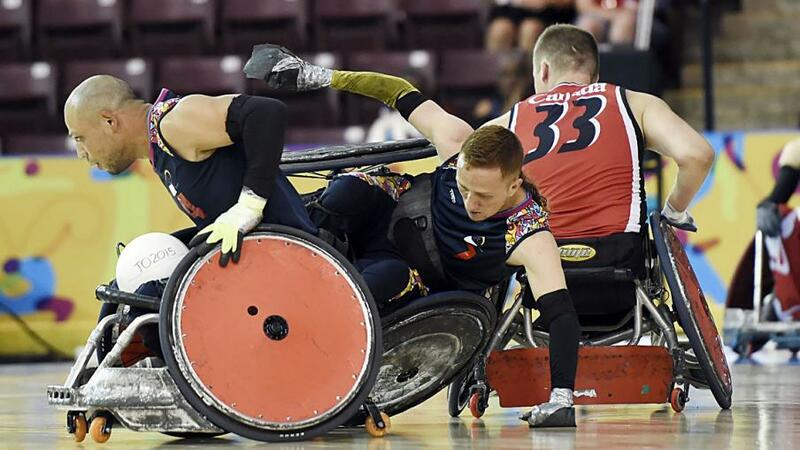 Wheelchair rugby players also use their wheelchairs to block opposing players and prevent them from scoring, however, physical contact between players is not allowed. Anybody who has ever watched a game will find their perceptions of disabled people challenged; this is a rough and tough sport and there’s no time for playing gently! Wheelchair rugby is now a Paralympic sport, but was first invented in Canada in 1977, as a way of getting quadriplegic athletes involved in sport. It spread from Canada to the US, and is now an international sport played in 26 countries. 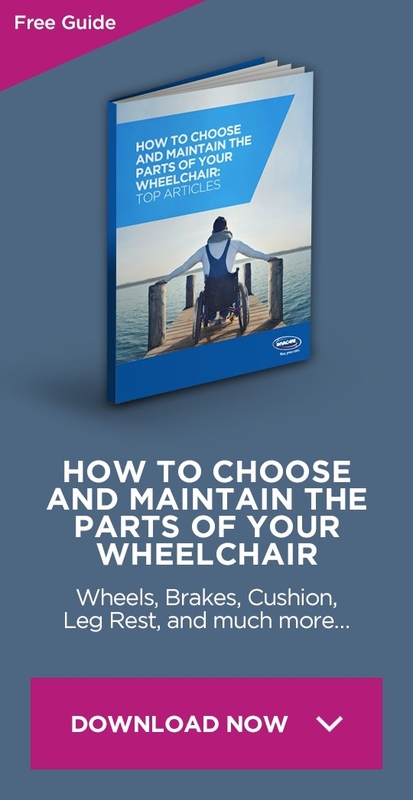 Wheelchair rugby players must play in manual wheelchairs. 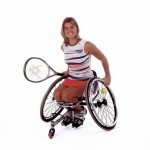 Many players, especially those who are more advanced in the game, choose to use specialist, lightweight, sports wheelchairs that are easier to manoeuvre and much quicker, but beginners can initially use their regular wheelchair. 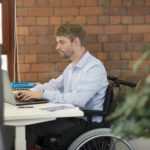 When advancing to take part in competitions, there are specific requirements that wheelchairs must meet, for reasons of fairness. 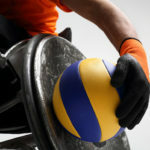 A wheelchair rugby ball is similar to a volleyball, and can be purchased specifically for the game. Cones or markers are required to mark off the goals, and a clock that offers accurate sports timings is also required. A regulation-sized basketball court is needed to play wheelchair rugby in competitive terms, however for practice or preparation, any similar setting may be acceptable. Hardwood surfaces are preferred, with sidelines, baselines, a mid-court line, a centre circle and two goal areas clearly marked. The surface must be accessible to wheelchair users. Wheelchair rugby teams are made up of four players on a court at any one time, although 12 players are allowed in a team overall. Teams are mixed, made up of both men and women. And wheelchair rugby matches are played in four quarters, each lasting eight minutes, with 2-5 minute breaks in between. The winner of a wheelchair rugby match is the team that has scored the highest number of goals. How are goals measured in wheelchair rugby rules? A goal is scored when an athlete has firm control of the ball and crosses the goal line of the opposing team, with two of his or her wheels. Contact between the wheelchairs of the players is a key part of any game of wheelchair rugby. There are certain penalties to bear in mind, however, such as the ban on hitting an opposing player’s chair behind its rear wheels to cause it to rotate, and there is also a ban on direct physical contact with an opposing player. These moves would be considered to be fouls, and could be penalised by a one-minute penalty or even disqualification from the match. There are limits to how long a single athlete can hold onto the ball – if a player carries the ball for more than 10 seconds without dribbling or passing it, the referee will hand possession over to the other team. Teams, once they gain possession of the ball, have 40 seconds to score a goal. Teams can also call for 30-second time outs, while their managers can call for one-minute time outs. If there is a tie at the end of the four periods of play, overtime is played. This lasts a further three minutes, and repeated overtime periods can be played until one team wins.